It was a pleasure to get to sit in the “stands” at the Speedgoat Croquet Court and talk to the legend, Karl Meltzer about his FKT on the AT. We knew he had already sat down with so many people and shows in the past that we mixed it up a bit and asked him questions from our listeners to spice it up. We also were able to talk about the future of the SpeedGoat 50k and pick his brain on other trail running topics. He mentioned “something” he is planning with Redbull and we can’t wait to hear more. Enjoy the show and don’t forget about BOTH of the cool contests! Check out Karl’s website for coaching and more HERE. Wanna try some First Endurance Ultragen or read more about it- Check it out HERE. 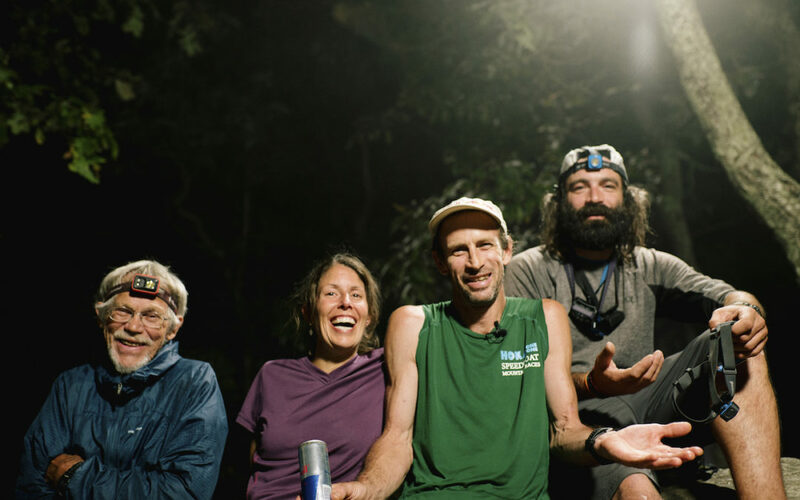 In honor of Karl Meltzer setting the new Appalachian Trail Speed Run Record (45 Days 22 Hours 38 Minutes), we’re giving away the ULTIMATE Karl Meltzer Prize Package with autographed apparel, including his signature belt the Speedgoat! 3. In the “Comment” tag those who has inspired you along your running journey. We’ll draw a winner on Friday, October 28th. Kim Ruperto Cayegyal , Sandra Shingo Etlinger push me. Speed Goat Billy Butter. Anti-chafe lube for boys. And Speed Gaot Nanny Butter, pH balanced the ladies. Endourse an official Headsweat/UV/Wicking Speedgoat Running Hat. Awesome interview very well done – thank you. Great interview… especially entertaining given the fact that he’s probably done dozens of them over the past few weeks. Nice work! When you gotta go, go SpeedGoat fast and get back to racing! The official Speedgoat post race lounge chair! Entertaining interview, thanks! David Clark continues to inspire me, although I do not struggle with chemical addictions, I still have my demons, and the mountains help me tame them!